Complete the form below to download our ‘Sales Process Excellence – Business Process Review’ Case Study Paper. 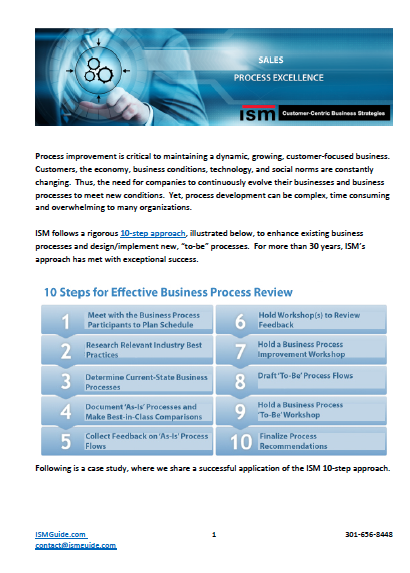 Learn to apply the 10 step process for effective business process review. To learn how ISM can help you with your business process review click here.